After another lovely sleep, R, D and hopped into the car and headed to breakfast at the Hawaiian Style Cafe where they have ridiculously large portions of food. 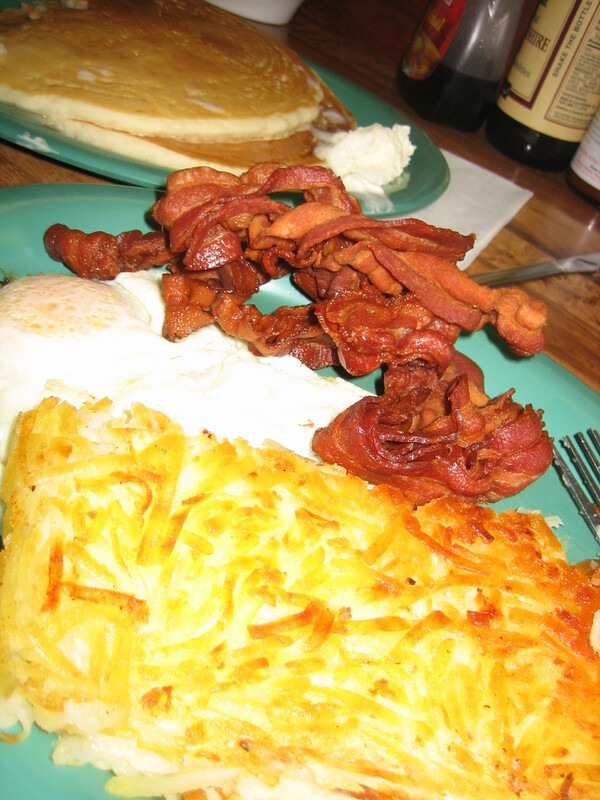 Mine consisted of eggs, hashbrowns, bacon and two pancakes that were bigger than my face topped with coconut syrup. I barely finished half of it and was full for the rest of the day. Literally. 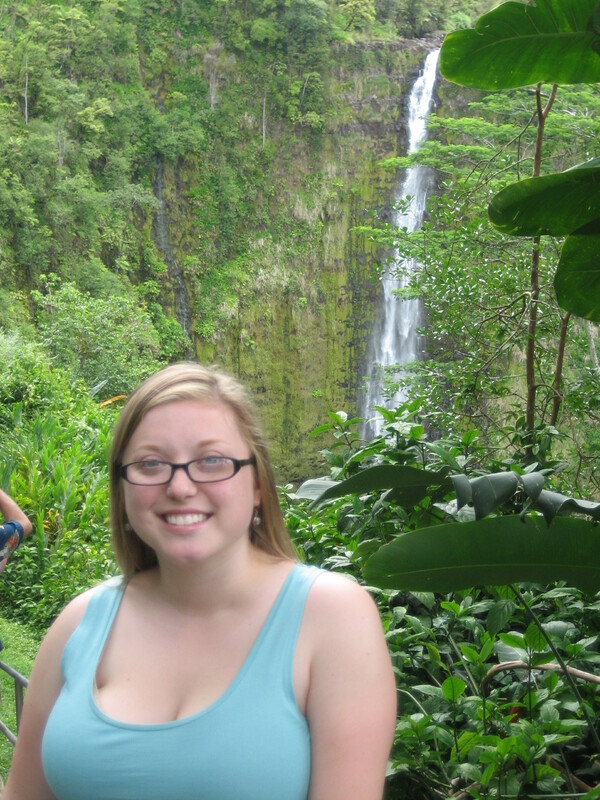 We then headed to Akaka Falls where we saw some huge and gorgeous waterfalls as well as lush Hawaiian flora and fauna. After the falls we headed stopped for jam and shaved ice (yes, I was still full, but this was something I couldn’t pass up). Mr Ed makes 90 varieties of jam as well as the homemade lilikoi syrup we had over the shaved ice. He pulled up a chair and chatted with us for a bit while we polished off our cold, tangy treats. 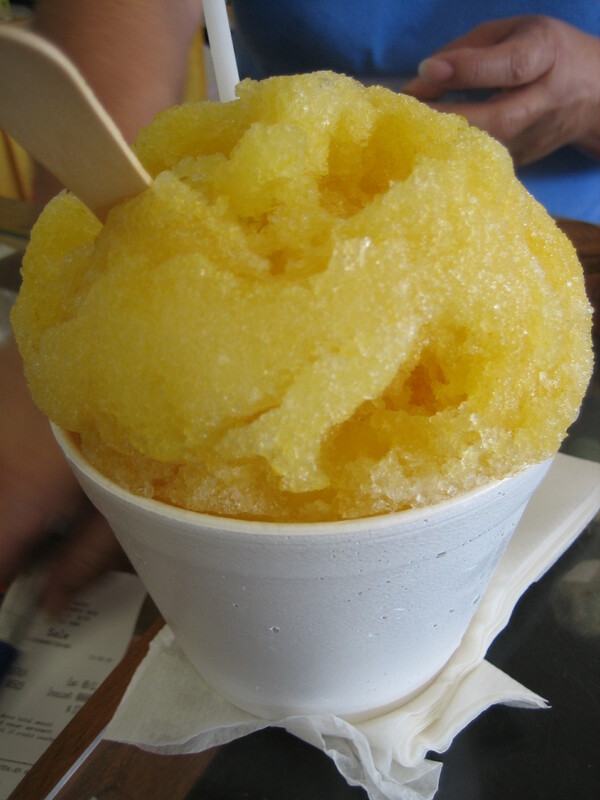 Shaved ice stop done and 4 jars of jam wrapped up and we headed to our next stop on the itinerary that D had mapped out: Ahalanui Park, near Kapoho Bay. This is a hot spring fed pool that is joined by the ocean and has been turned into a pool where you can swim with little fish. Apparently they eat your dead skin, but because I had a Korean scrub on Wednesday they weren’t too interested in me. We swam/floated across the brackish water and enjoyed the changing in temperature and salinity from the tidal flow entering the other end of the pool where I saw some of the tiniest black crabs on the rocks. 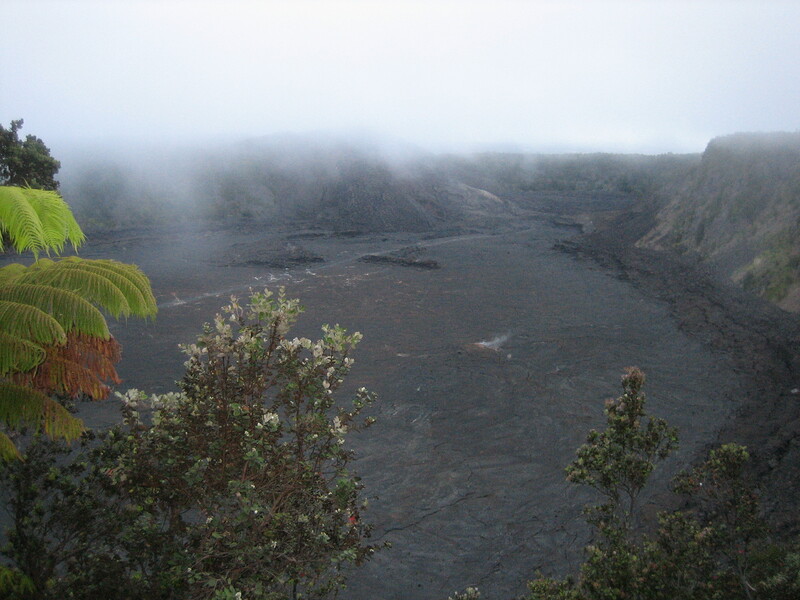 Next stop: Volcanoes National Park. 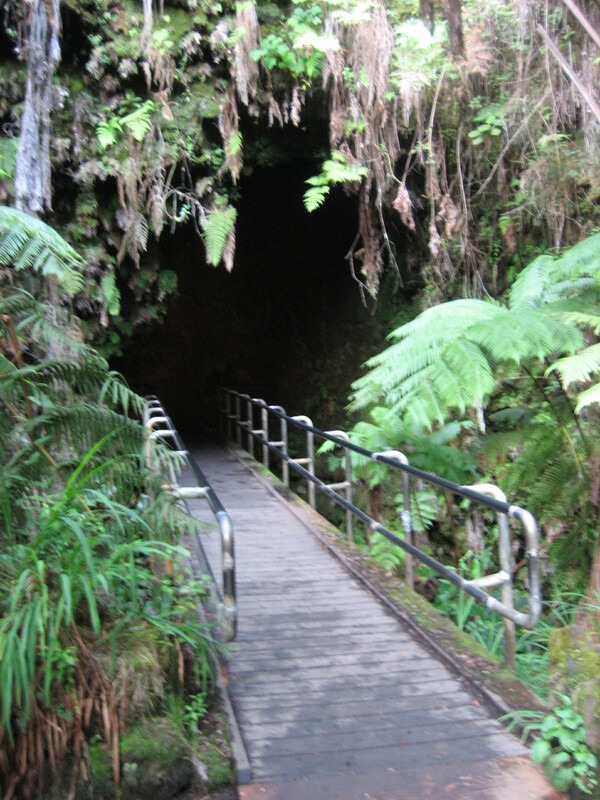 Here we went into a lava tube, walked around to an overlook to see the caldera and then went up to the top to see the steam vents and glowing crater at dusk. The drive home along the Saddle Road was adventure-filled with a short downpour, windshield wiper malfunction, star-gazing (stunningly visible due to little light pollution, the big dipper reveals that all the stars are in different positions than my views from the Northwest). We arrived home late and had late night snacks on the lanai before a much deserved sleep. You need some updating here.